It’s about time maple syrup left the realm of tacky tourist souvenirs and fell into the hands of the right kind of people. So say goodbye to Canadiana-ridden syrup bottles sporting rustic sugar shacks and happy-go-lucky beavers and take a look at what happens when you let two design mavens from Toronto get their hands on the stuff. 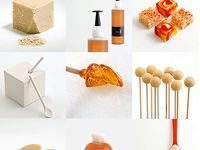 Introducing Ninutik, a collection of luxury maple sugar products for corporate events, dinner parties, hostess gifts or whatever excuse you like. 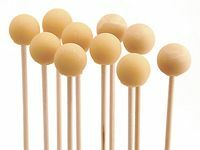 In this collection, the innovators over at design firm Studio Innova have combined their own knockout design mastery with premium Canadian maple syrup and the savvy of select respected Canadian artists, from glass blowers to patissiers. Check out the Cube 57, a block of beautifully marbled hard maple sugar encased in a maple wood box that begs you to run your microplaner all over it and dust everything in sight with maple sugar. Then there are the spectacularly hand painted white chocolates filled with maple butter fondant, hidden nuggets of hard maple sugar and smooth maple whiskey gel. 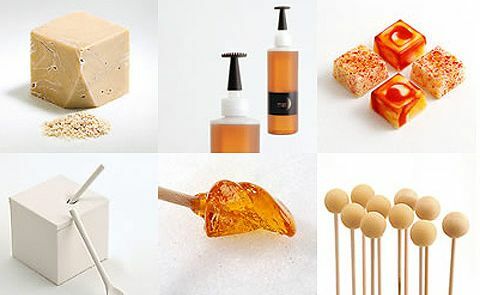 And you can’t miss the both playful and sophisticated line of maple pops and wafers that can accompany your after-dinner coffee or cognac, garnish a dessert or even sit prettily at the bottom of a cocktail. 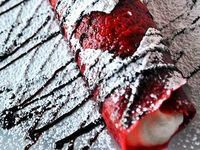 No longer just Nature’s candy, it’s now eye candy too!